There's no doubt that 2016 is a "make or break" year for Yasiel Puig. The player that I named the second coming of Roberto Clemente when he broke in has not produced as expected. Virtually everyone agrees that it is his lack of maturity that has hindered his progress. The questions being posed by many are: Has he finally understood this? Has he adjusted his attitude to have that break out season that so many of us expected out of him? Reports are that Puig has taken to an intense workout regimen and has lost weight. Reporting to the Dodgers strength and conditioning staff, Andrew Friedman claimed that things were going as planned back in November. 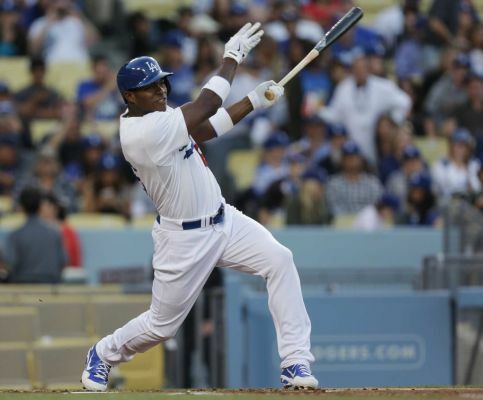 Historically, Puig has always reported to Camelback Ranch overweight, weighing as much as 251 pounds after his rookie season and first full off-season of indulging in the U.S. culture. This has been an off-season of drama surrounding Yasiel, (specifically a night club altercation and reports of teammates wanting him traded), and it is comforting to see that Puig has made positive strides towards improving in 2016. Now recent reports of Puig reaching out to Maury Wills for base running assistance is reported. Let me return to the Clemente comparison. Roberto broke in the big leagues in 1955, literally stolen by Branch Rickey from the Dodger organization in a rule-5 theft. What resulted were a number of lackluster seasons initially, and cultural challenges for the young Puerto Rican, who struggled with the language and biases of the era. In Puig's case there are some similarities, but he certainly didn't have it as difficult, being embraced by the fans and showered with millions of dollars. 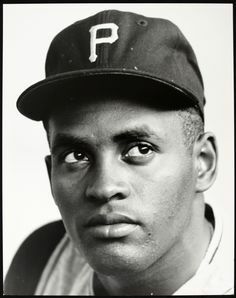 He didn't face nearly the same cultural struggles as Clemente who broke in during the era of challenges faced by many on civil rights issues. In Puig's case, his challenges had to do with the absence of contact with his family (at first), and the massive changes regarding living conditions, temptations and an adjustments to capitalistic culture that he had never experienced. Many fans simply don't understand those challenges that Cuban players experience when arriving in the United States and for that reason, I always thought that Puig got unfair treatment by many writers that should have understood his plight. Both Clemente and Puig had their initial successes and struggles in the show. Clemente was immediately recognized as a five tool potential star, but he had his struggles at the plate hitting .255 his rookie year with an abysmal .284 OBP. Signs of brilliance were there and a significant improvement to a.311 avg. in his sophomore season, but he regressed the following year (1957) as he suffered with injuries and got the reputation that followed him his whole career that he was a hypochondriac and "soft" when it came to playing through injuries. Clemente really didn't establish himself as a perennial all star player until in his 6th year in the big leagues at age 25. That year he started in the All Star game and finished in contention for the MVP on a World Series Championship ball club. I don't know if my criticism is being unfair to this extraordinary talent, as no player has faced this type of scrutiny on the Dodgers in recent memory. But Puig is so gifted with five tool talent, fans of the game are awed by his potential. If he could ever put it together, he could really be an MVP player for years to come. Clemente got it by 1960, and he never let up after that. Twelve All Star appearances, Twelve gold glove awards, 1 MVP award, 2 World Championships, 4 batting titles, 1 World Series MVP award and the inevitable Hall of Fame induction after his tragic death on New Years Eve, 1972. Is this the year that Puig is able to turn the corner and become the Hall of Fame type of player that so many of us saw when he arrived on the scene? Losing weight and arriving to camp in shape will be a true positive sign, and carrying around about 25 lbs. less should make a difference on those questionable hamstrings that have curtailed his career recently.